Extensive banqueting space spread over 3600 square feet, including three private rooms and an opulent, column-less Ballroom. The Ballroom is connected with spacious pre-function areas. 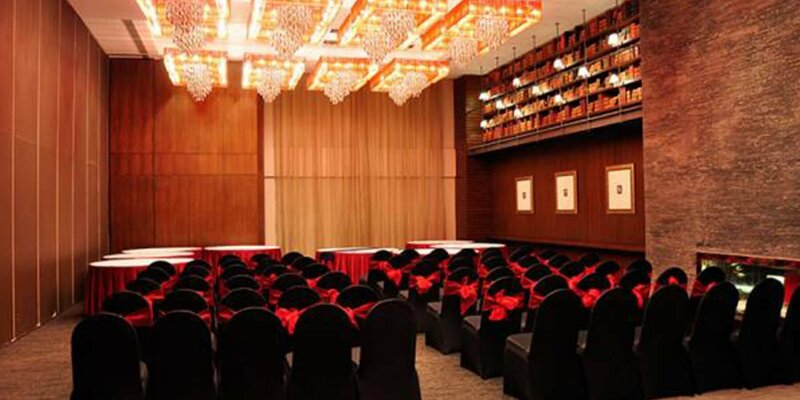 The space can accommodate round table seating for 160 people and theater style arrangement for 400 people.